Drinking groundwater that contains high levels of nitrates may be dangerous to your health and that of your children. It is important that people who drink groundwater from private bores have the water analysed for its nitrate content. 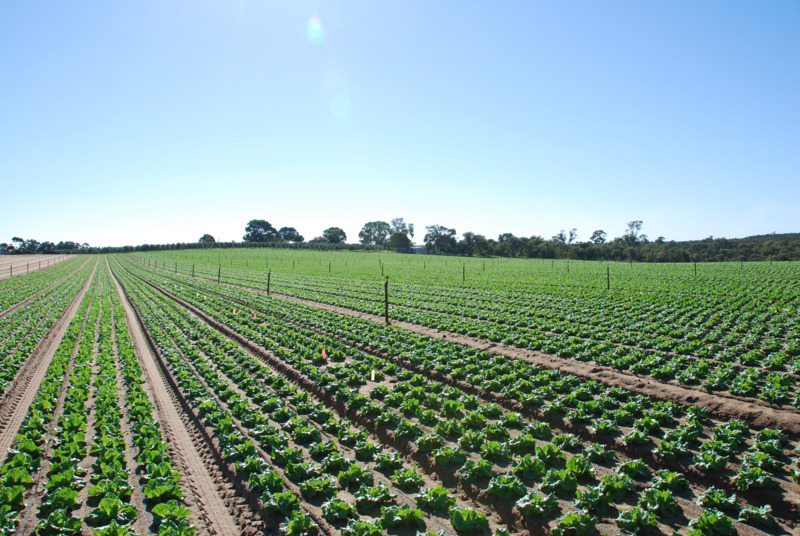 Irrigation with nitrogen-rich groundwater can supply a considerable proportion of a crop's nitrogen requirement. Reducing the amount of nitrogen lost to groundwater will help protect the environment and reduce your fertiliser bill. Nitrates from nitrogen fertiliser are readily leached from all soils. Leaching is particularly rapid on sandy soils because of their limited capacity to hold nutrients and moisture. the amount of uncontrolled nitrogen applied to crops in irrigation water. Drinking groundwater containing high levels of nitrates may be dangerous to your health and that of your children. In 1991, just under half of 40 market gardeners' bores sampled contained concentrations in excess of the World Health Organisation Guideline of 10mg/L nitrate-nitrogen. Drinking water with nitrate levels exceeding this limit is especially serious in infants. It is important that people who drink groundwater from private bores have the water analysed for its nitrate content. The Chemistry Centre (WA) or a private laboratory can conduct the analysis. If your domestic bore is located near a septic tank or poultry manure heap, have a sample analysed for bacteria that can cause gastroenteritis. Samples taken by local health surveyors can be analysed by State Health Laboratory Services. In estuaries and shallow coastal waters, nitrates can cause growth of algae and phytoplankton. Algal blooms choke waterways, give off foul odours and may kill seagrass, fish and birds. Groundwater flowing from agricultural and urban areas can carry nitrates, which may ultimately reach estuaries or the ocean and contribute to algal blooms. Irrigation with nitrogen-rich groundwater can supply a considerable proportion of a crop's nitrogen requirement. Calculate the amount of nitrogen applied in irrigation water and adjust your fertiliser program accordingly — see below for how to do this. Nitrogen in groundwater can be so high that the crop suffers nitrogen toxicity. In this case, use no further nitrogen fertiliser, or mix water high in nitrogen with a different, uncontaminated source. Nitrogen levels in groundwater are likely to be higher in areas where horticulture has been practised for a long time and where groundwater is shallow. Check the nitrogen concentration in bores regularly and adjust fertiliser programs if nitrogen concentrations change. Potassium concentrations in groundwater beneath horticultural properties may also build up to the point that irrigation with this water supplies a significant part of the crop's requirement. A potassium analysis can be done at the same time as a nitrogen analysis. You may be able to reduce the amount of potassium fertiliser needed. Phosphorus concentrations in groundwater under horticultural properties are unlikely to increase since this nutrient is held tightly by most soils and is not readily leached. However, levels may increase in the shallow groundwater below horticultural properties located on white sands. The result should be expressed as milligrams per litre (mg/L) or parts per million (ppm) of total nitrogen. Note that 1mg/L = 1ppm.